This one caught my eye too! It sounds excellent. I have to stop coming over to your WoW. You're making my wishlist longer. I did drink in the cover...wonderful! And the blurb sounds tempting. Enjoy! This sounds great! Your line above - "clever princess and an unusual dragon" - made me immediately think of The Enchanted Forest Chronicles by Patricia C. Wrede, and I loved those books. I think I'm down for trying another princess and dragon story. 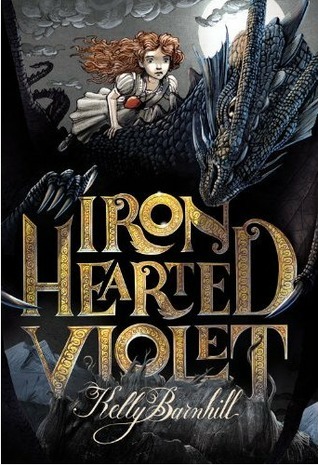 Especially one with such a good synopsis and cover art =) Great pick! The wild red hair on the cover makes me think of Brave. O this sounds awesome. Like something I would really enjoy. Awesome cover. I am loving fantasy more and more lately. This seems like a great pick! OK, you got me at comparing it to Valente's Fairyland books. LOVE THAT! I haven't heard of this book but it's going on my TBR now. I love princesses!! This sounds GOOD! Great WoW pick! Ooh I love it when I find a book I've not heard of before. Thank you for featuring this one! I'm going to add it to my list.